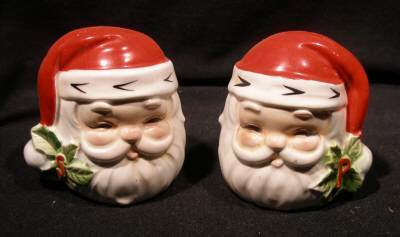 We are offering a set of Santa Salt and Pepper shakers. They measure about 3 inches in height and about 3 inches around. Very cute for a table setting or an addition to any shaker collection!